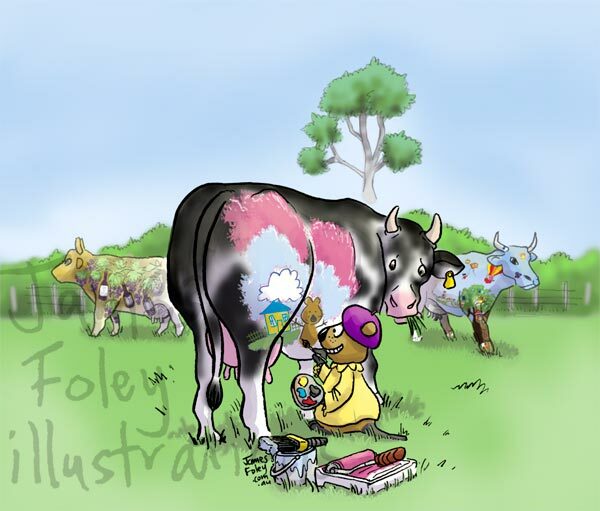 The Margaret River Cow Parade is finishing up- we got this cover illustration in just in time. The cows are being auctioned on July 10. Get down to the South West and see them while you still can. In the back right, I’ve included a cow painted by myself and other members of the Society of Children’s Book Writers and Illustrators, WA chapter. Check out this post for more info.